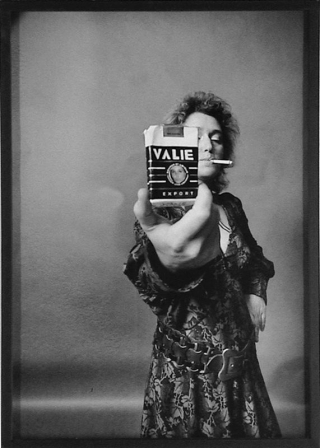 Valie Export is a filmmaker, multi-media and performance artist whose challenging work, which fundamentally explores the intersection between the human body and the technological media, has pushed the boundaries of feminism and the avant-garde. As an artist not confined to the gallery, she also made experimental short films and complex feature-length narratives. Her expanded cinema and performance pieces of the 1960s (often with the participation Peter Weibel, with whom she collaborated on her first two features) gained attention not only in the underground art scene, but also in national television and newspapers. In the wake of the Viennese Actionism movement, Export’s ‘Female Actionism’ was a radical protest that aimed to realign society’s attitude to women and redress the historical portrayal of the female body in art. In the performance, Tapp und Tast Kino (Touch Cinema), Export critiqued the voyeurism of cinema by appearing in the streets of Vienna wearing a box covered by curtains through which the public were invited to feel her naked chest. Export initially took an extreme and provocative stance to resist the traditional modes of female representation and gain an independence of thought and expression. 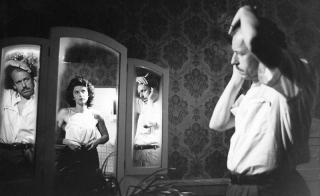 Sexually explicit and physically jarring, the early short films can be difficult viewing – in Mann & Frau & Animal she is seen masturbating and menstruating and in … Remote … Remote … she uses a knife to push back the cuticles of her fingertips until they bleed, before immersing them in milk. Not for the squeamish or puritanical viewer. Having first exploded sexual and cultural taboos, Export focussed on the responsibility of the individual in the social environment. 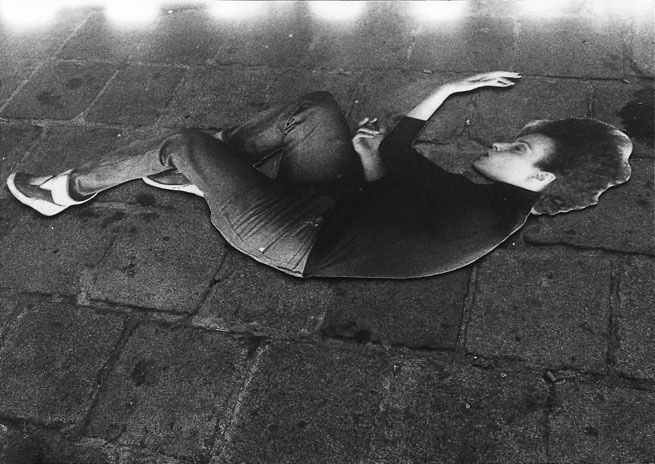 With the more conventional features she made in the 1970s and 80s, narrative filmmaking is used as a vehicle to explore ideas evident in her visual art within a more accessible format. Export integrates the language of commercial cinema with quotations from her videotapes, performances and photographic works, which often appear as discreet sections or in dialogue with the plot. Working with the moving image, Export uses time and space to scrutinise the different layers between reality and the illusion of reality. Her analysis of corruption and the media reached an acute point in the mid-80s, when the plot of The Practice of Love was based on a contemporary arms dealing scandal that was played out in the Austrian press whilst the film was being made. 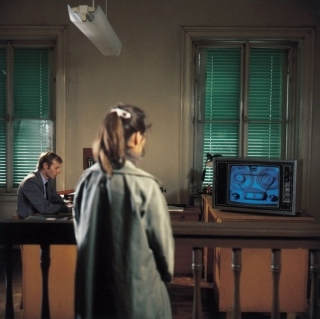 Valie Export NFT season curated by Mark Webber. With thanks to Ian White. The Valie Export exhibition at Camden Arts Centre runs from 10 September—31 October 2004. Anna is a photographer who becomes increasingly obsessed with morbid subject matter as she undergoes a psychological breakdown. Convinced that the world is being taken over by the Hyksos – an invisible enemy that appear as immaculate duplicates of human beings – she endures a series of surreal and delusional episodes. Invisible Adversaries investigates the control and influence the media exerts on our lives, whilst also critiquing dysfunctional relationships, bourgeois society and global politics. Export’s first feature is a tour-de-force that integrates her visual work in photography, performance and installation art with elements of a science fiction narrative. Through the interrelated story of four women and their relationships with philanderer Franz, Menschenfrauen (literally translated as ‘Human Women’) explores the women’s place in a man’s world and the double standards that are perpetuated by society. Whilst the film has a strong narrative drive, it is laced with formal and visual experimentation, and the dark humour does little to diminish the harsh feminist stance. Elisabeth, a self-sacrificing mother, is betrayed by an unappreciative son and abusive partner. Anna and Petra, both pregnant by Franz, turn to each other for affection and support, whilst Gertrude is driven to take more decisive action. The Practice of Love is a thriller in which television journalist Judith Wiener investigates the events that led to a fatal subway accident, revealing facts which implicate her two lovers in a terrorist conspiracy. Alfons seems out of his depth with his involvement with an arms smuggling racket, while Joseph is a respected psychologist who appears unable to manage his own emotional affairs. The film explores what goes on just below the surface, and how this affects private and public behaviour. Export’s work in film and video often focuses on the meaning, transformation and identity of signs and the way they are interpreted and represented as reality by the technological media. 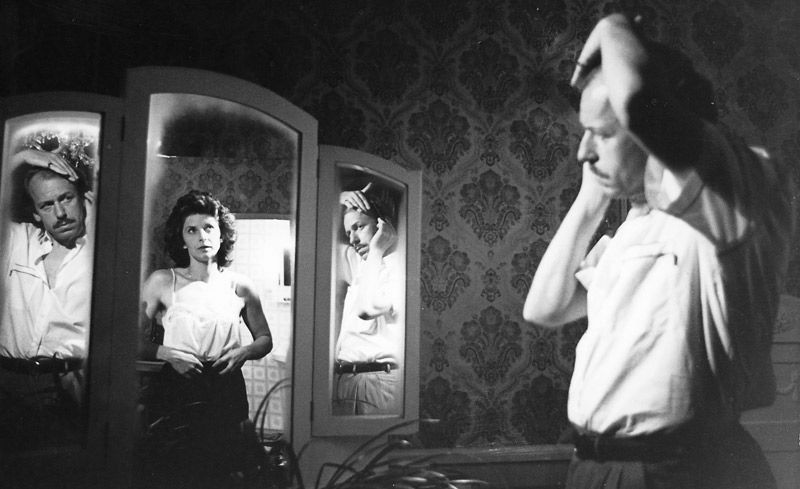 The visceral early films Mann & Frau & Animal and … Remote … Remote … address these issues in a direct and explicit manner. Syntagma, from 1983, is a complex visual montage in which her entire film, expanded cinema and visual art techniques are concentrated into a work that explores the female body as sign. The screening also includes A Perfect Pair, an allegorical depiction of consumer lust from the portmanteau film Seven Women – Seven Sins, and the video works Seeing Space and Hearing Space and The Duality of Nature. In a rare appearance, Valie Export will be present on 17 October 2004 to discuss her work with writer and curator Ian White.